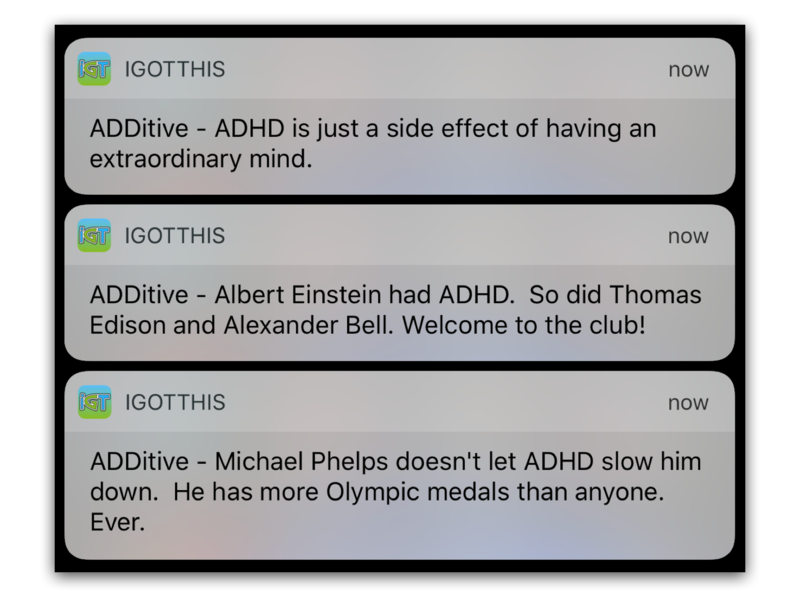 The iGotThis app is not just for families or kids with ADHD. Anyone can use it to keep their life organized and on track. As you read my stories, you will find that I’ve experienced plenty of challenges keeping up with daily travel procedures. A major challenge? What if we or our children suffer from a disorder like ADHD? I think about this because I watched my father suffer through different stages of dementia and Alzheimer’s Disease, and I know how devastating brain disorders can be. I get frightened sometimes when I forget simple things. Recently, I conducted research and found these FAQs explaining the difference between ADHD, Alzheimer’s Disease, and even aging for adults. 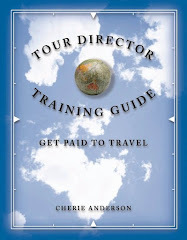 My eye-opener came when I read these ten travel tips for adults and children with ADHD. I’ve learned that ADHD and aging are different, and that there are easy things I can do on my own trips to be self-sufficient. We all are extraordinary people — but how can we overcome standard travel expectations and stay organized, focused, and self-reliant? Especially with ADHD. The iGotThis app is one way we can achieve this. The resource caters to millions of adults and children who struggle with ADHD. I am excited about this new tool, and recently had a conversation with Richard Schramm, the founder of iGotThis. FTG: After reading these ten travel tips for families and children with ADHD, I was apprehensive, and saved the tips because I recognized the traits in myself. Will this app be useful for all people? 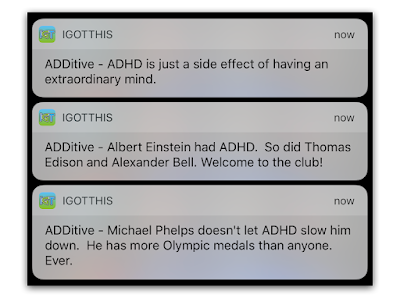 Richard: You are absolutely correct that anyone can use iGotThis — kids or adults, ADHD or not. 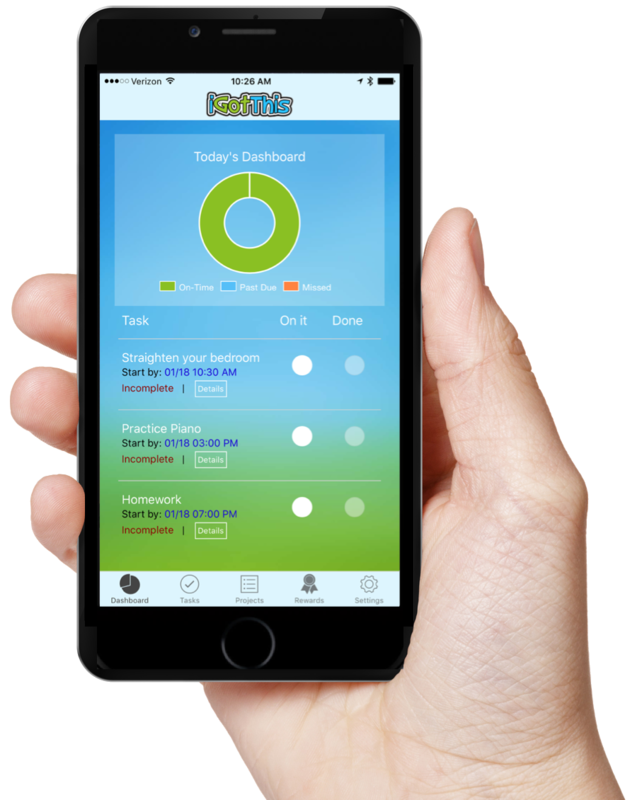 I purposely designed it this way so that it could meet the needs of the entire family, while still meeting the specific needs of those with ADHD. And for a task like packing, you can add subtasks to make a checklist for the kids that tells them exactly what to pack (“Shorts,” “Underwear,” etc.) 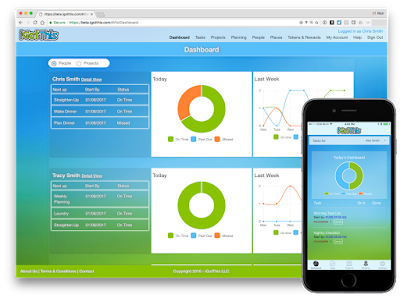 You can track the progress of the whole project through the screen or the dashboards; and as people update the individual tasks, the overall project completion is updated. FTG: What are the three most important tips from this list in the article that one should consider when traveling with ADHD? Every kid has a “Survival Pack” backpack that can be carried on. It has electronics, chargers, battery-pack backups, medications, one change of clothes, books and magazines, and a mix of healthy snacks and treats. It must be on their person at all times, unless it is stored in the overhead bins. If we are driving, it cannot leave the car until we arrive at the place we are staying. Assume the worst and prep them for that. Traveling is stressful under the best of circumstances, and there are so many new things to see that it can amp up the ADHD. If you add the additional stress of travel problems, then it can get out of control. Tell your kids what might go wrong and what you will do if that happens (“if we miss our flight or it gets canceled, it’s no big deal — we’ll just get a different flight,” or “if our luggage gets lost, you have clothes in your backpack to wear until they find it, or we can buy new stuff”). If your kids know you have a plan, they will be less stressed before they travel and when any issues do occur. Plan for downtime. Make sure you plan for downtime during your trip when you can. 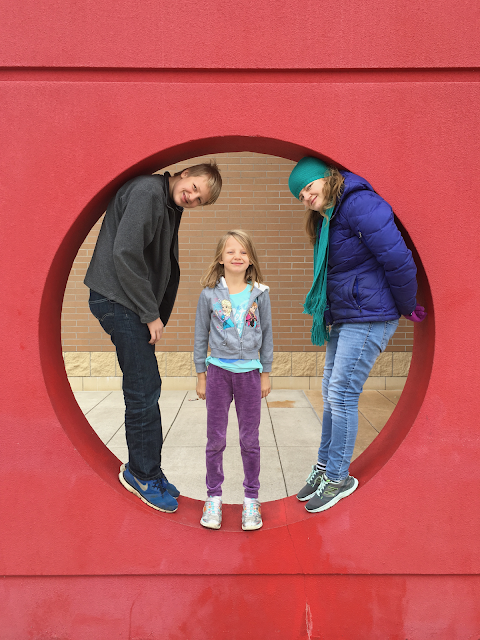 Try to get longer layovers when you travel so you are not sprinting through terminals; and at your destination, plan for some free “hangout” time for the kids to do their own thing so they can re-center. Forcing new adventures one after another, even if they are fun, is exhausting for people with ADHD and will lead to meltdowns. 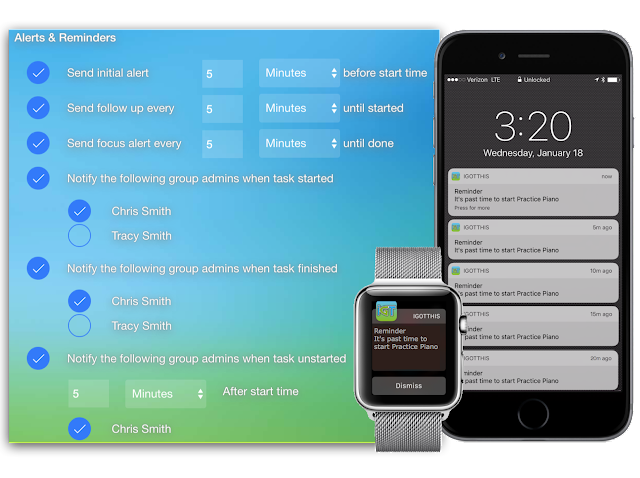 FTG: Describe how this app can provide a solution to one of the three top tips. 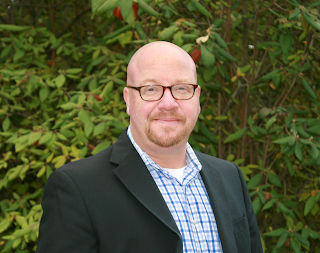 Richard: iGotThis is a great option to help plan for downtime. Parents can schedule it ahead of time on vacation, and plan it around any activities that are already scheduled so that everyone gets a reminder to take some personal time and relax, or do what they want to do for a bit to get re-centered. FTG: To help parents traveling with children, what are your recommendations for using the app should there be an unexpected delay at the airport? Richard: For my kids, they are all about screen time when we travel. They have tablets, phones, and portable DVD players. 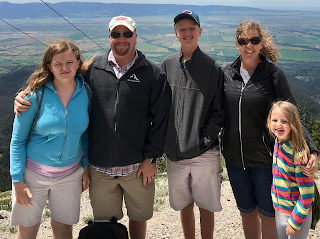 Since we limit their screen time at home during normal life, we are okay with that — it’s part of the vacation. iGotThis can be used to remind kids to charge all their electronics the night before, and pack them in their Survival Pack the day of travel so that should unexpected airport delays occur, they have something to do. Also, it can help make sure they pack some non-sugary snacks! Thank you so very much, Richard Schramm, with your insights and conversation around this special app for extraordinary people – and giving us tips that may be used with our travels and everyday! I know I will use it! The key points to remember when traveling with ADHD are to stay positive, healthy, and organized. This app provides additional help to do this. It’s so important to build self-confidence and remind those children that ADHD is not a deficiency, it’s a gift. Users may sign up at the iGotThis.com web site and the app will be available to download in the Apple App Store and the Google Play store upon release. You may receive additional information about this app and back the current project on the Kickstarter page between March 6th and April 6th to help fund finishing the app. Participants will become one of the “Founding Families” of iGotThis. These families will enjoy lower prices, additional rewards, privileges and recognition. Do you like this article? Comment and talk with us below! Please review the items in our sidebar and share with your friends. Many thanks for pictures and information to Richard and family at iGotThis.com. I did not receive any compensation nor free products for this article.